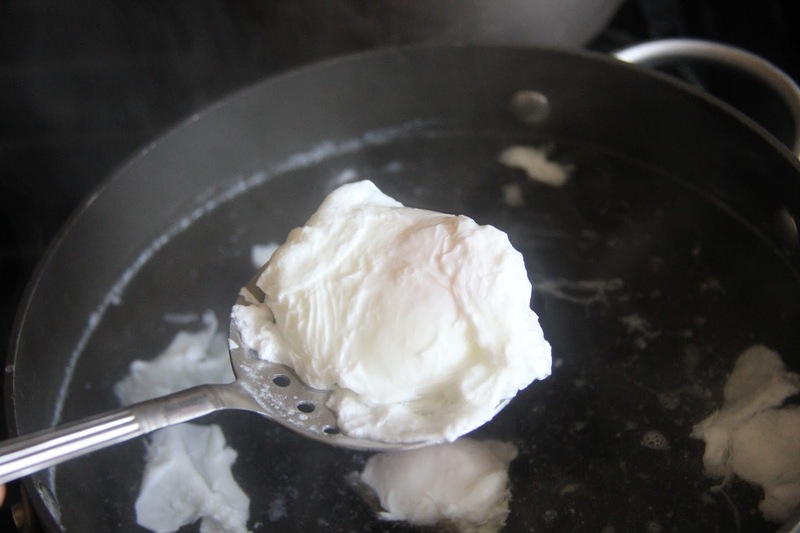 In this method of cooking eggs we crack the eggs into a bowl and gently slide it into a pan of simmering water to delicately cook the egg whites and still maintain a runny yolk.Poached eggs can be used on eggs benedict, pasta, meats, noodles etc. 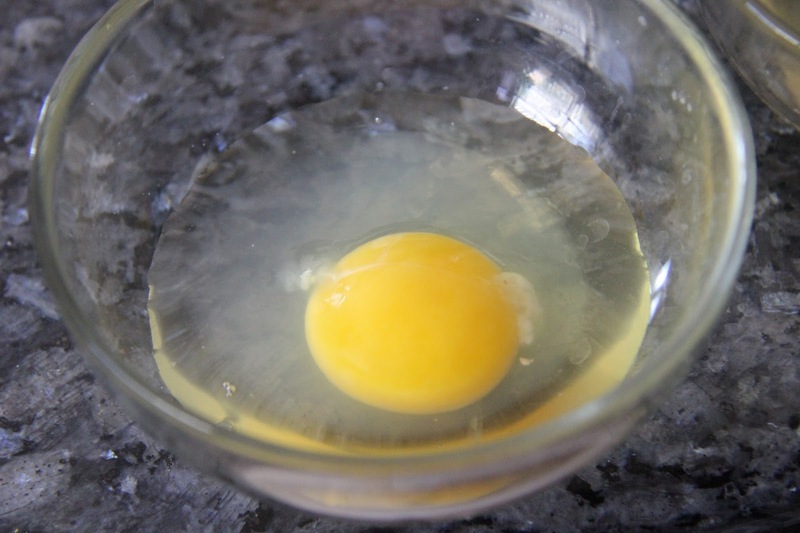 1.In a shallow pan bring water to a boil, the water height should be about 3 inches.Add Vinegar and salt and once it reaches to a boil turn down the heat to medium and let simmer.Crack an egg into a bowl and gently slide it into the simmering water.Make sure the lower rim of the bowl touches water while sliding it in, this ensures the eggs doesn’t spread around too much.Let cook for about 3 minutes. 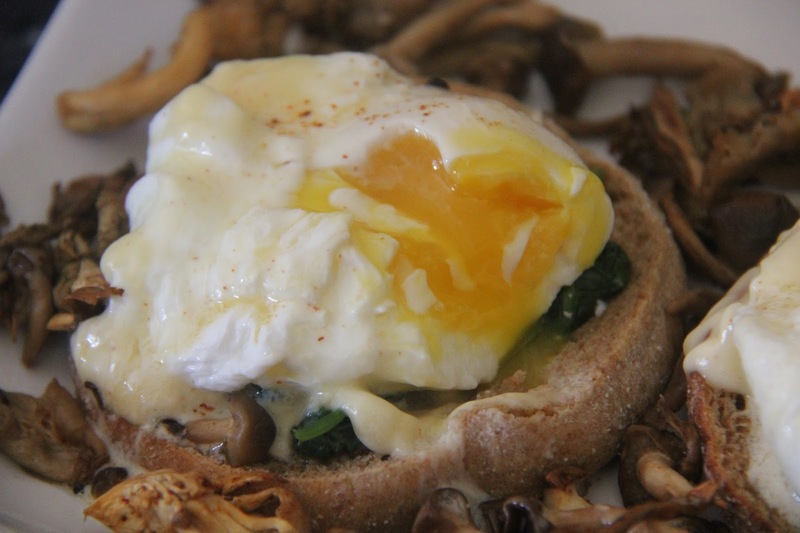 3.With a slotted spoon gently remove the eggs onto a paper towel and let the water drain.Sprinkle salt and pepper and serve.I served it as an eggs benedict over spinach and mushroom, look at that oozy runny yolk! 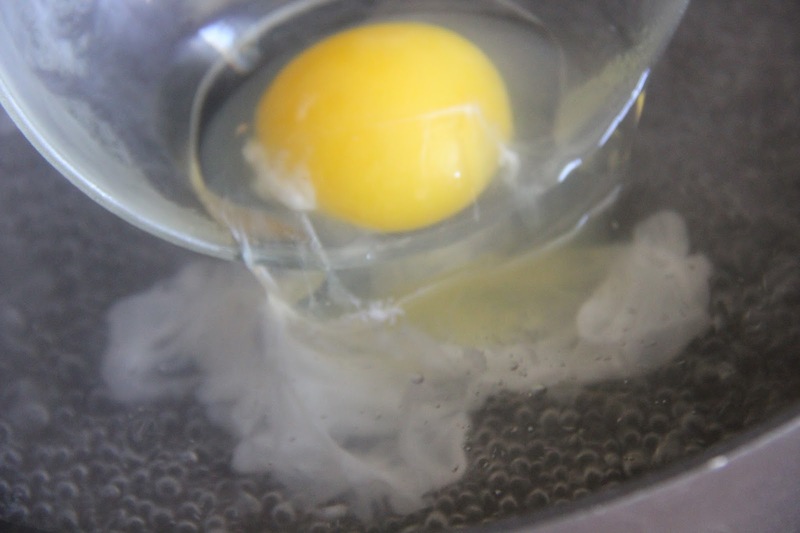 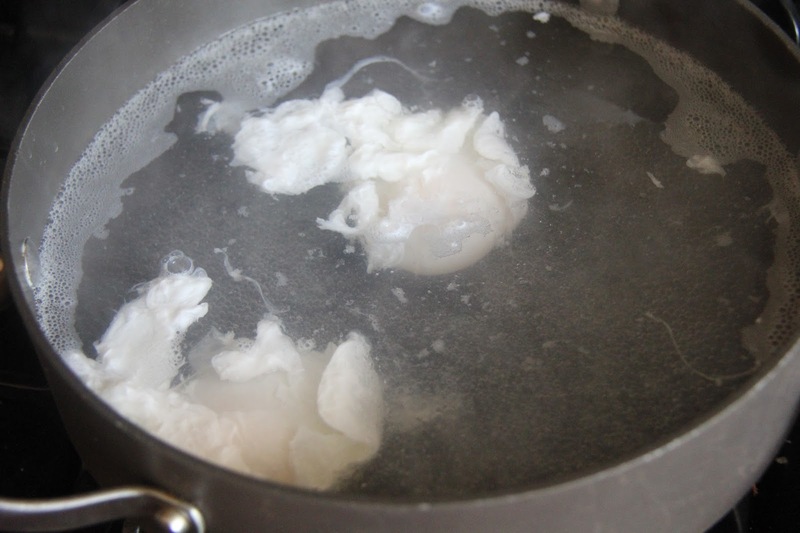 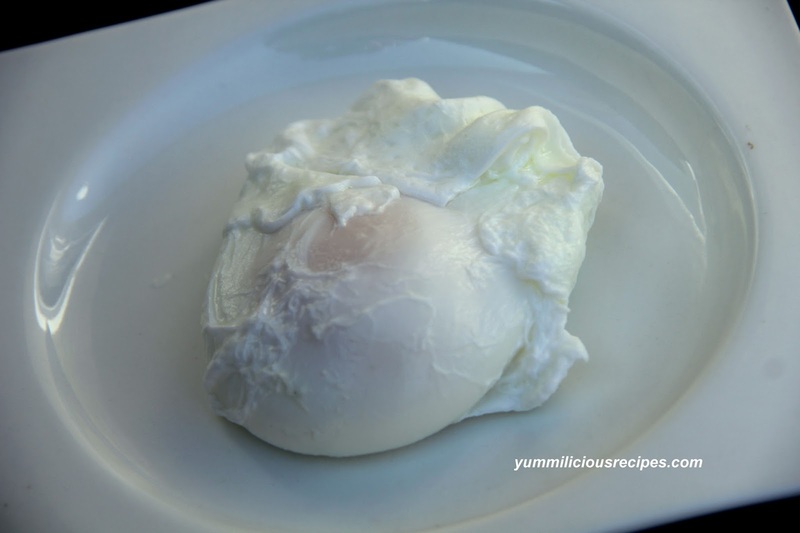 If your egg whites are spreading too much gently put them over the yolks so they poach together in one mass.